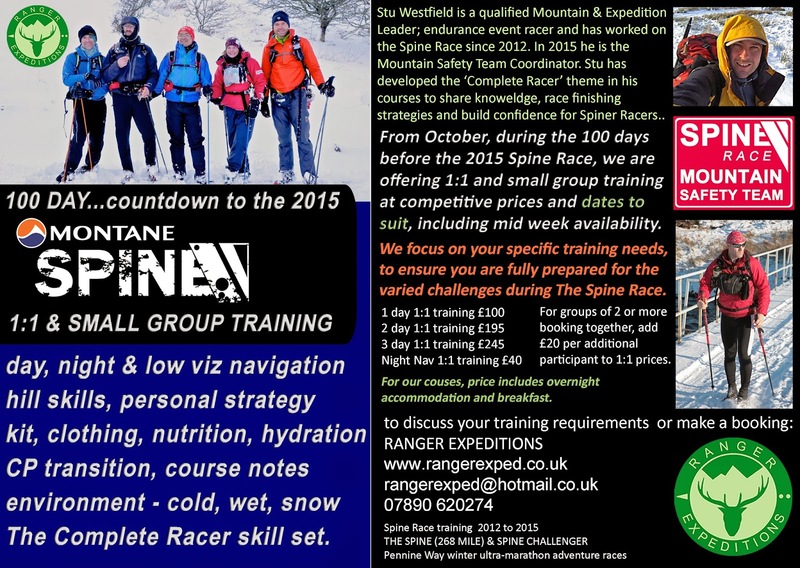 #014 Spine Race 2015 - 100 Days To Go! It's crunch time...Less than one hundred days to go until a, very probably, cold winter Saturday morning on 10th January in Edale. 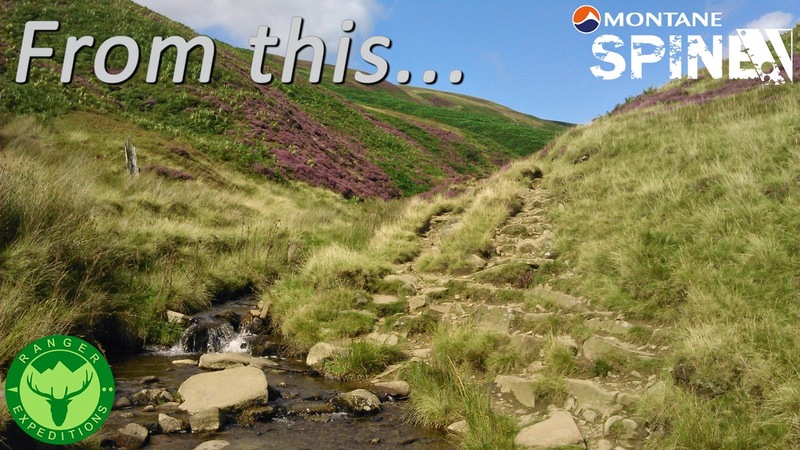 When Spine Racers and Challengers alike will stare down the enormity of Pennine way with a heady mix of excitement, anticipation, trepidation and yes maybe a little fear too. So with this in mind, every competitor has by now acquired and thoroughly tested all their race kit in weather typical of what will be experienced on the Pennine Way in winter...freezing cold, wet cold, muddy bog, drifting snow etc? Everyone has also practiced their navigation skills and is proficient at routefinding not just in the daylight, but in fog, during the night and in a rain lashed howling gale? Yes? Because most of us live in a world where race training and skills practice has to fit around a combination of work, home life, mortgage payments, house DIY, car MOT, the list goes on and on. However, the Spine can truly be described as an 'expedition adventure race'. As such it demands a set of expedition and hill skills beyond almost all other races in the UK. Indeed, finishers from overseas have often described the Spine as one of the toughest in Europe. Spine history is replete with stories of ultra racers, many of whom were highly accomplished athletes, who's 'wheels have come off' mid-race and DNF'd. The reasons why this happens are many, but common themes are underestimation of cumulative race attrition and weakness in (maybe just one) skills set which has compromised their whole race strategy. Having worked on the Mountain Safety Team since the very first Spine in 2012, I have witnessed many superb achievements by both Spiners and Challengers. From my experience in both leading expeditions and competitive racing, I know the investment of time, training, energy, emotion and hard cash that goes before success. For sure, every Spine finisher has truly earned their post-race celebration. On the flip side, one of the toughest jobs on The Spine Mountain Safety Team is not the long hours, nor wading through waist deep snow drifts (the infamous 2013 Cheviot weather bomb springs to mind). It is redezvouing with, or walking racers off the hill who have made 'the call' and cannot give any more of themselves. Over reliance upon GPS without knowing how to navigate with a map and compass. GPS fails (complete electronic failure is common). Navigation mistakes ensue and forward progress grinds to a stop. Cold and hypothermia begin to set in. Inappropriate layering for the conditions and activity level. Base layers become waterlogged with sweat, cooling the core. Energy deficit. Insufficient proper food input to sustain activity and aid the body in recovery and coping with increased attrition as the race progresses. Untested footwear for the conditions & duration, compounded by not being proactive in prevention and treatment of immersion foot and blisters. The most consistent and successful Spine Racers have all demonstrated an proficient all-round skills set, with a 'well-sorted' approach to kit and a robust 'get the job done' mind set. They may not be the best athletes and they do make mistakes. But it is their mental and physical response to this which is all important. In this respect, The Spine is a real leveller, because the winner may not be the fittest racer or have the fastest pedigree. By being a 'Complete Racer', Spiners and Challengers vastly improve their finishing prospects and maybe even surprise themselves as to how well they are placed overall. From October up until January, Ranger Expeditions are offering short course and progressive 'Complete Racer' training at competitive prices and dates to suit racers, including midweek availability. With 1:1 and small groups we have the flexibility to focus upon your specific training requirements and together choose topics which give you the most help in developing a personal race finishing strategy. We take examples from the hard won successes and lessons learnt by racers. We also draw from wider experiences of expeditions and survival in hostile environments and weather conditions. Any racer requiring help with navigation skills. Trail & ultra runners stepping up to a multi-day expedition style race. Mountain marathoners looking for Spine/Challenger specific tips and advice. Previous Spiners & Challengers looking to develop a race finishing strategy to take them all the way to Hawes/Kirk Yetholm. 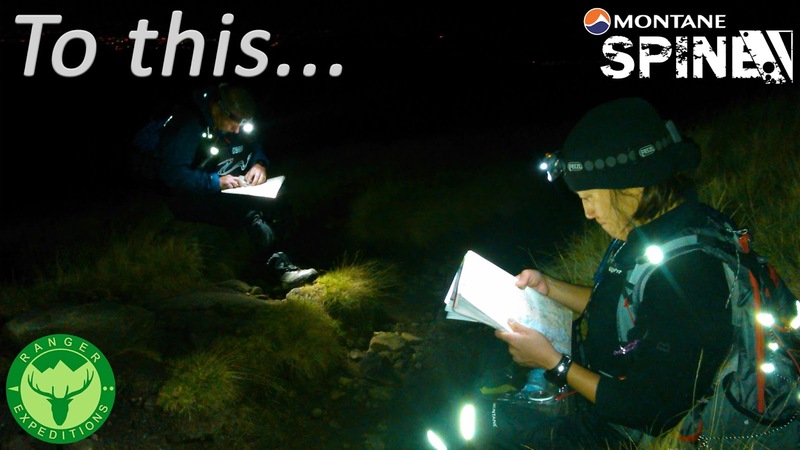 Experienced racers seeking navigation notes for the Pennine Way. 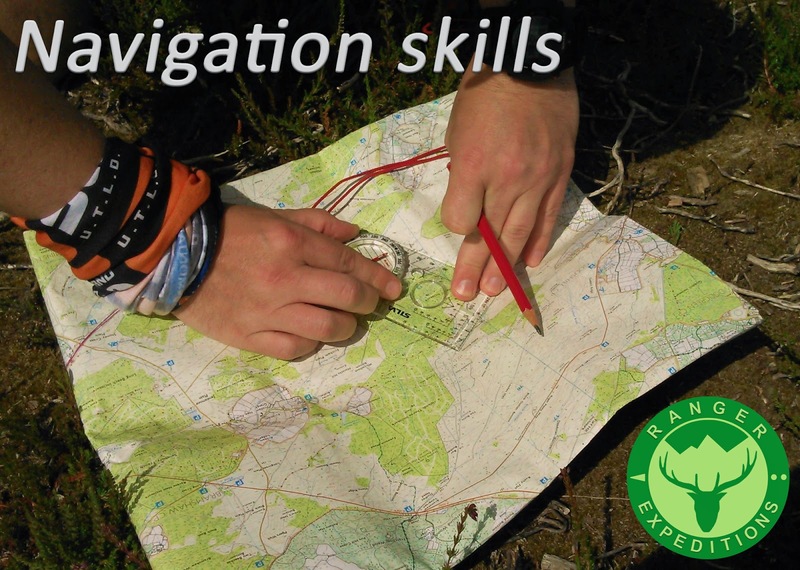 Navigation: (daytime, low visibility, night nav, micro nav, fast paced nav). GPS:care of, benefits and limitations. Hill skills and camp craft: Time and energy saving tips. Kit & Clothing: Selection & weight saving without compromising safety. Nutrition & Hydration: What works, learning from race history. Environment: Coping with cold, freezing, wet, snow, bog. Health: Prevention and management of attritional injuries. Checkpoint Transition: Techniques to maximise the quality and quantity of rest time. Course notes: Stage by stage navigation briefing of the Spine & Spine Challenger. Safety: What to do if it starts to go wrong. Staying positive: Techniques and coping mechanisms. Support Teams: Working with your helpers towards the best possible outcome. Personal strategy: A race finishing strategy that works for you. We aim to de-mystify topics such as navigation, developing racers ability to move independently and with confidence in both themselves and their equipment. 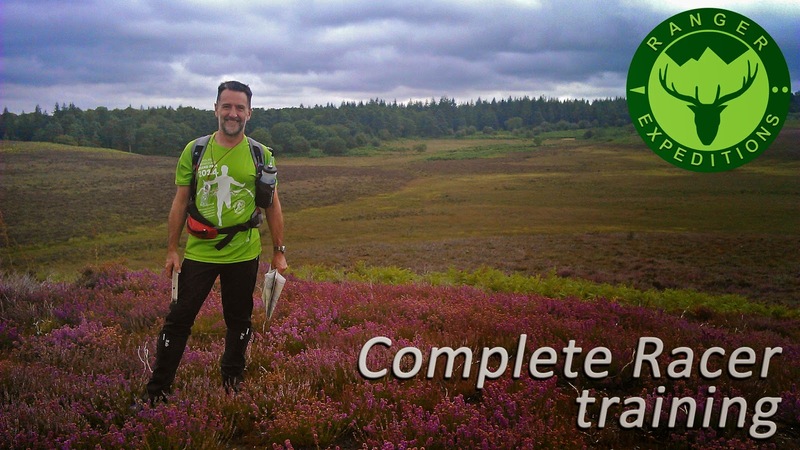 Our courses are not just for Spine Racers, the knowledge and skills we share are readily transferrable to other Ultra, Endurance, Challenge and Mountain Marathon events. For groups of 2 or more booking together, add £20 per additional person to the above 1:1 prices. 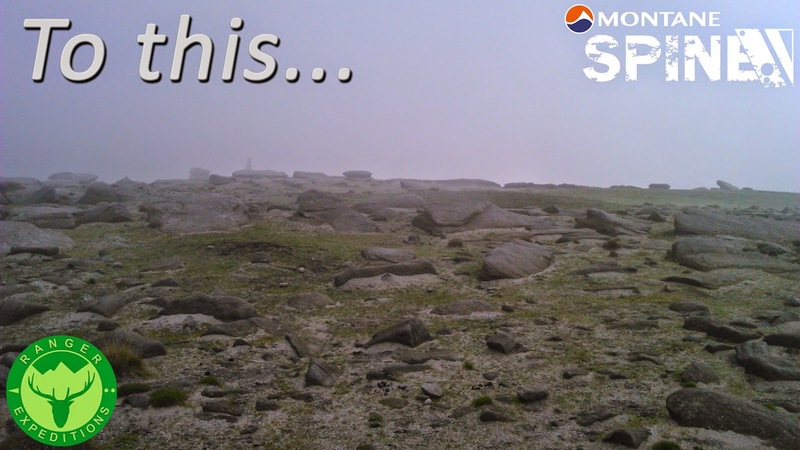 (If we can't answer straight away, we're probably out on the hill and moor with clients, so please leave a message and we'll get back to you as soon as possible).